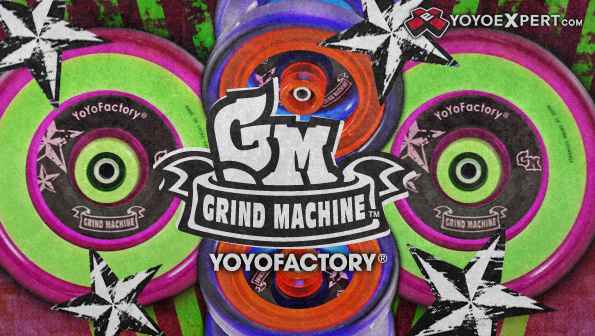 YoYoExpert Blog & Yo-Yo News – The Grind Machine is back and Looking Better Than Ever! The Grind Machine is back and Looking Better Than Ever! The classic YoYoFactory Grind Machine just got an amazing makeover! Check out the cool new colors of your favorite hubstacked yo-yo!